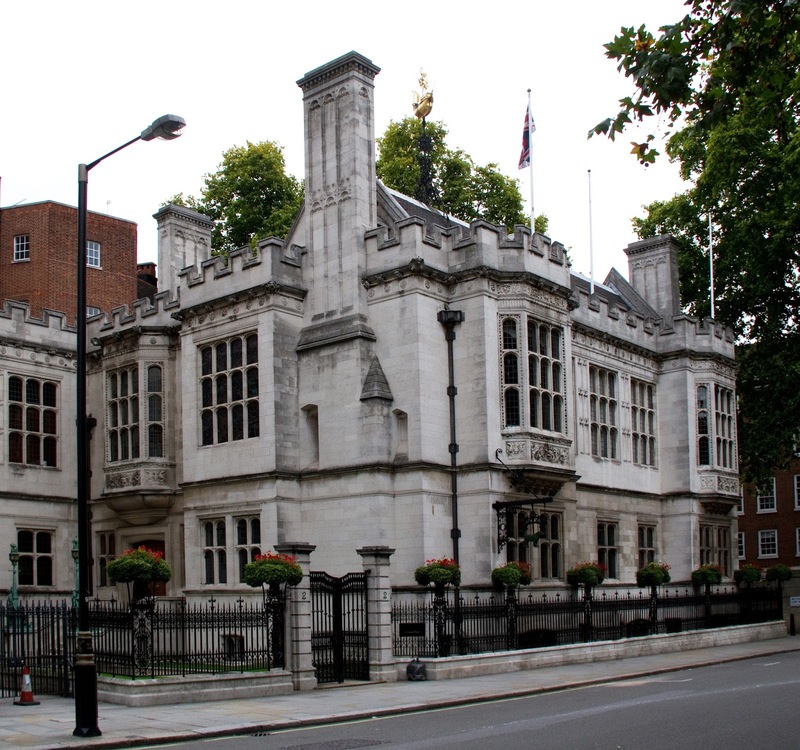 Two Temple place is a gothic mansion, situated on the Victoria Embankment of the River Thames. 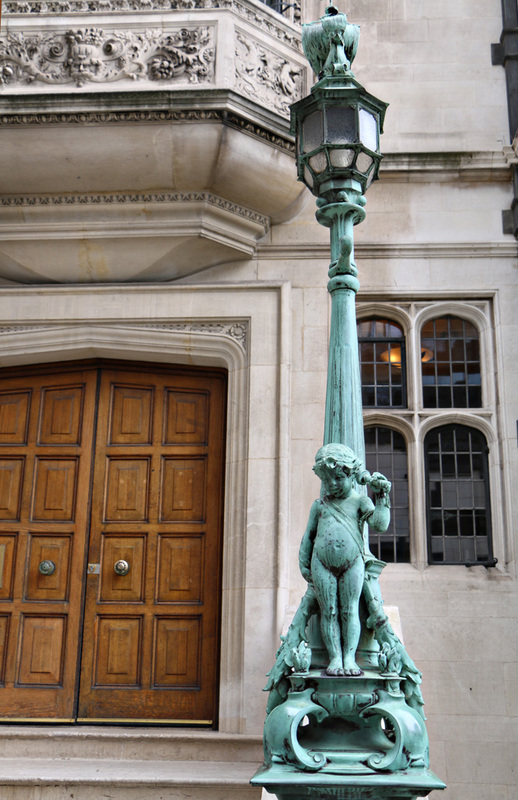 It was built for William Waldorf Astor in 1892 (completed in 1895), from Portland stone and in the Early Elizabethan style. The inside was described by one Donald Strachan as ‘Victoriana meets Disney’ and is full of completely bizarre details, which I’ll come to shortly. 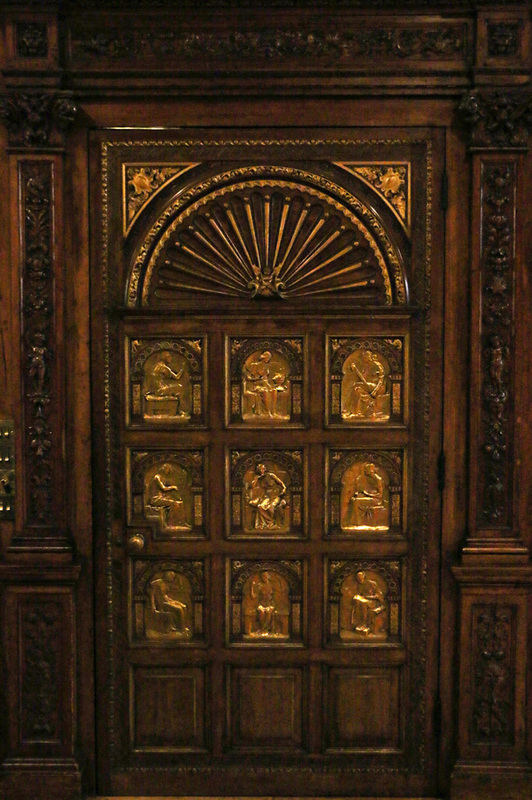 It’s also not generally open to the public, only opening its doors during periodical exhibitions. I’ve wanted to go along to see it in person for a few years, partly because of the connection with King Edward VII, thus making it a great topic for one of these blogs, but also because it just seemed really interesting and unusual. And it certainly didn’t disappoint! Let’s start from the beginning. William Waldorf ‘Willy’ Astor, later known as the 1st Viscount Astor, was an extremely wealthy american gentleman, born in 1848. He was an attorney by trade and hailed from New York, growing up in Germany and Italy before returning to his native country as a young adult. He entered politics in the 1870s, with some success, but it was in 1890, when his financier father died, that he inherited an enormous fortune. Enough to make him the richest man in America. Among the first things he did with his newfound wealth was to build the opulent Waldorf-Astoria hotel in New York. You might have heard of it! 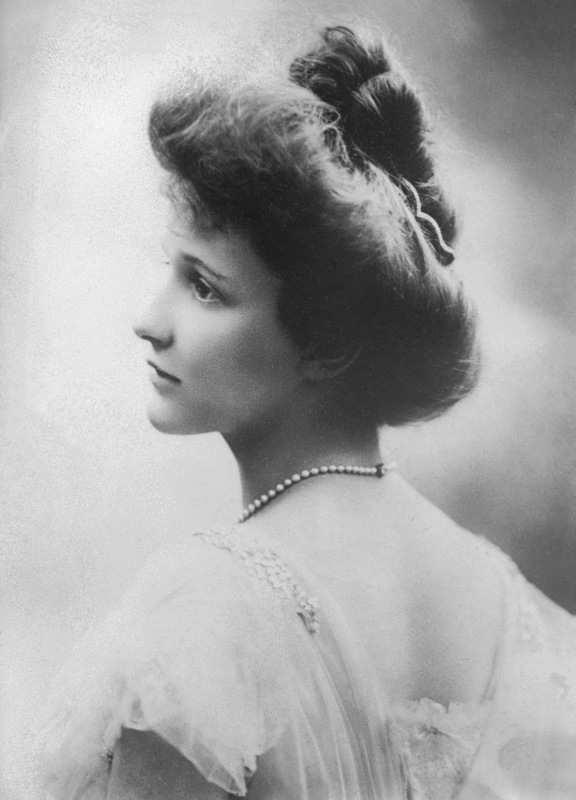 But in 1891, he got into a family feud with Caroline Webster “Lina” Schermerhorn, the wife of his uncle, over whether it was she or Astor’s own wife Mary who should be known as the official ‘Mrs Astor’. Unfortunately, Willy lost the argument. In a very strange turn of events, in order to disappear from the American public eye, Astor apparently faked his own death from pneumonia and moved to England in 1892. Obviously, this ruse didn’t last long and he was roundly mocked by the American press. Nevermind, eh? He was in England now! Upon arrival in London, he rented a home, but immediately began work on Two Temple Place, later buying a country estate, Cliveden in 1893. The work was completed in 1895. 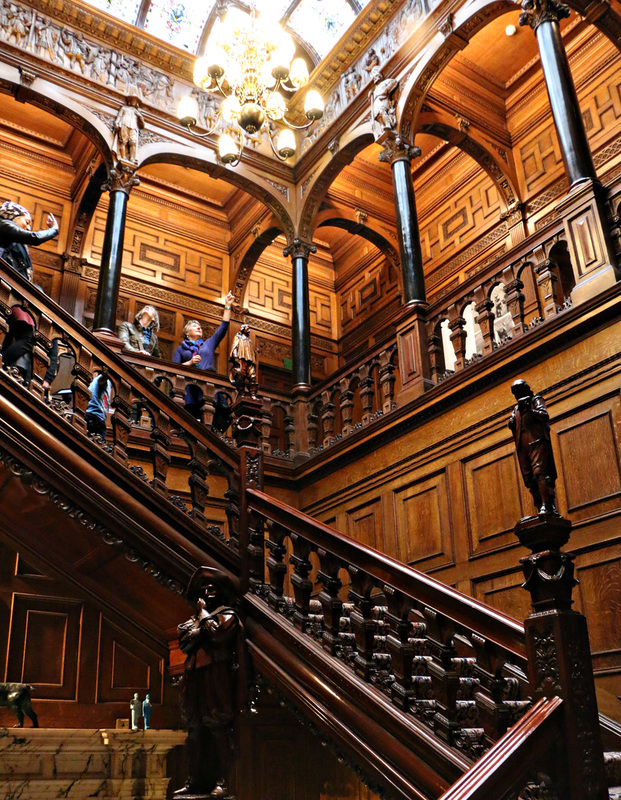 Two Temple Place has everything an eccentric billionaire could want. 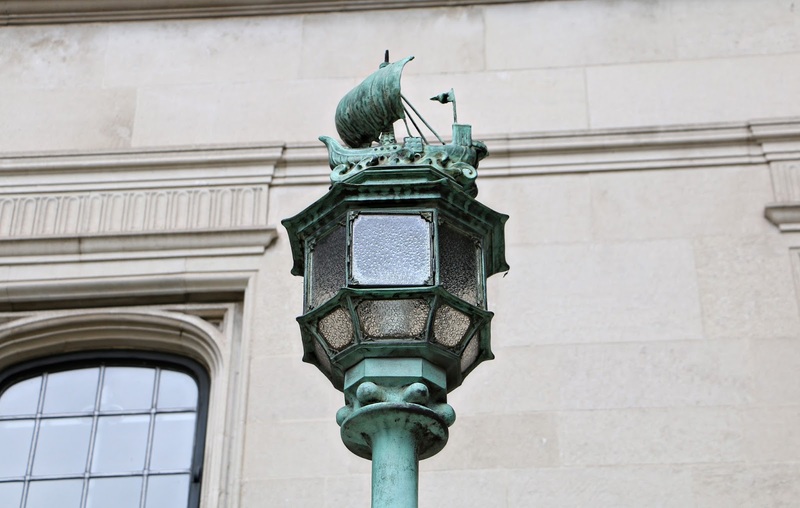 Elaborate carvings, complicated metalwork, crenellations, novelty lampposts, cherubs on the telephone (it was brand new technology then), a fancy weathervane – all on the outside. But the inside takes it another step further still. It’s extraordinary. 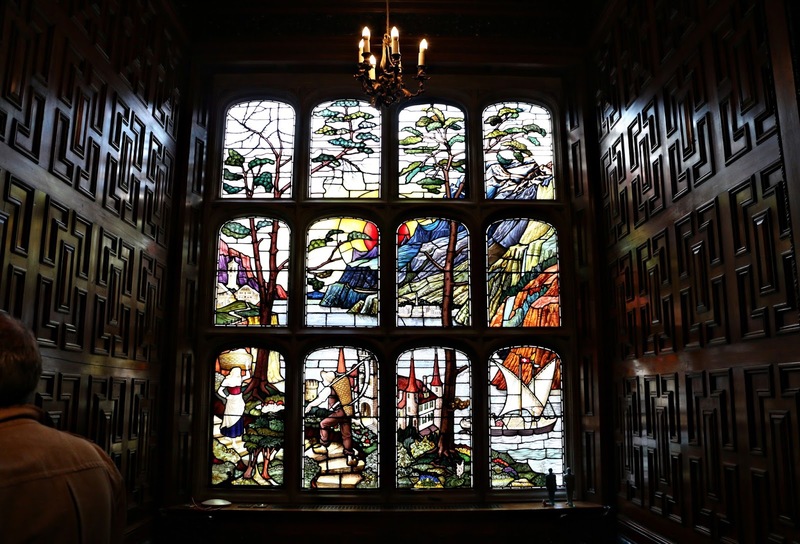 Carved wood, wood figurines, gilt plating everywhere, spectacular stained glass on the ceiling and windows. Have a look. 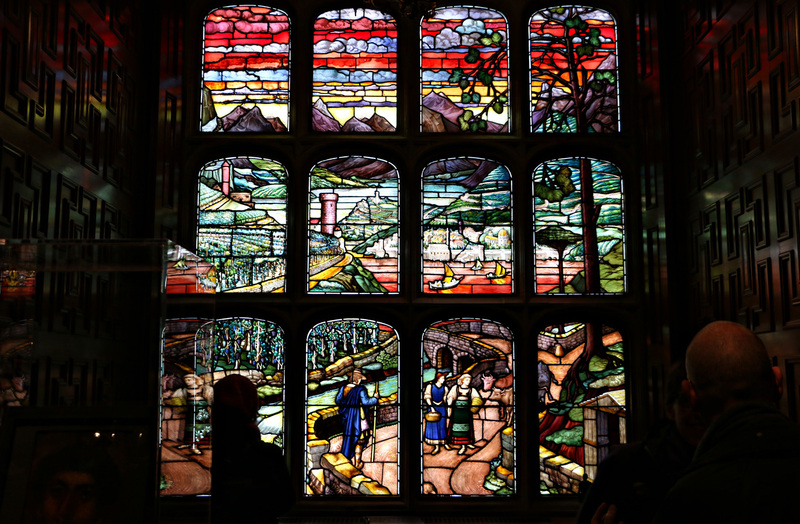 At opposite ends of the Gallery are these amazing windows. And there’s gold plating everywhere… very dark for photos unfortunately. 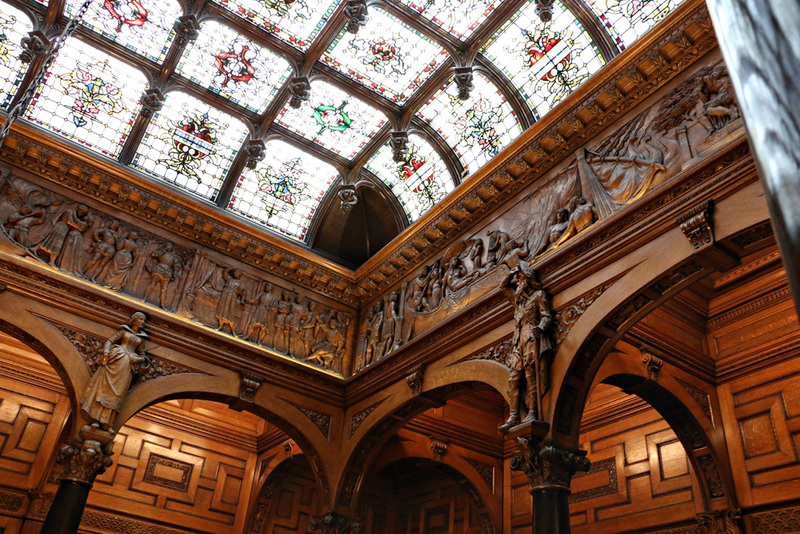 The main stairwell has this ridiculous ceiling and a frieze starring characters from Rip Van Winkle and Last of the Mohicans among others, as well as Shakespearean carved figures and other characters from both fiction and history. Anne Boleyn is there somewhere. 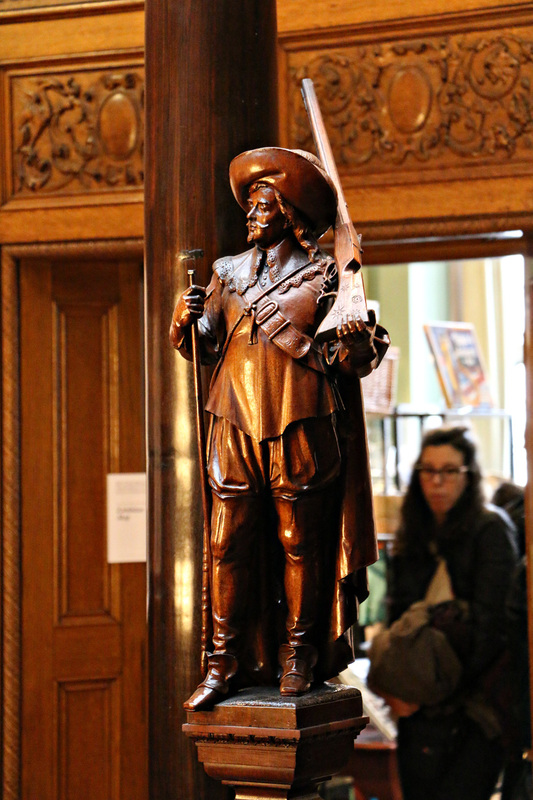 The staircase has not one but SEVEN mahogany carvings of characters from Alexandre Dumas’s The Three Musketeers, allegedly Astor’s favourite novel. 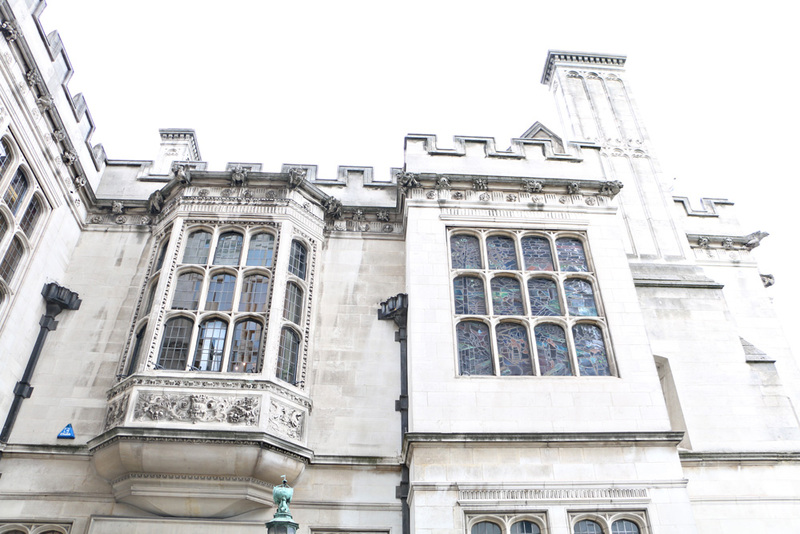 It was designed and built by architect John Loughborough Pearson, the founder of Modern Gothic architecture. The budget was so high, he spared no expense on hiring skilled craftsmen. 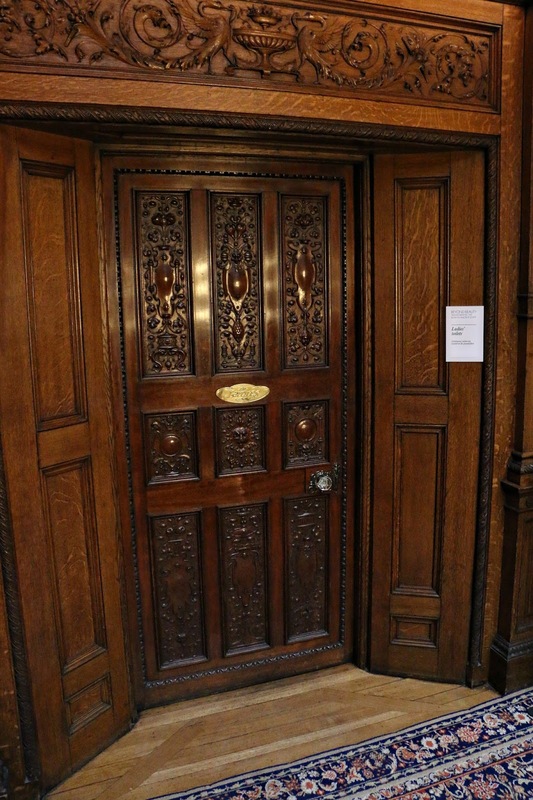 Aside from the crazy and amazing interior, Two Temple Place had many useful features as well. It was Astor’s office, was a home away from the US where he apparently felt his children were at risk from kidnapping, the largest strong room in Europe and other fortified safes. 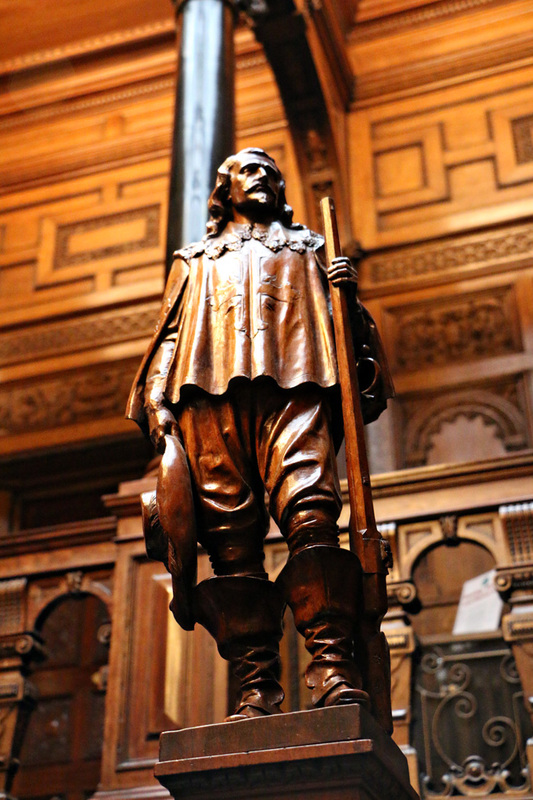 But the interesting story of Two Temple Place is all well and good, but what is the connection with The King’s Ginger, you might well ask? There are almost too many to detail in one blog (and keep it interesting). Firstly, he may very well have met our hero when still in the USA, as a founding father of the Tuxedo Club – which the Prince attended in New York, as detailed in a previous blog post I wrote on tailor to the King, Henry Poole. … the Prince looked around him on every side for another benefactor, whom, the probabilities are, he found in the person of William Waldorf Astor, who was only too delighted at the opportunity thus offered to place the future King of England and Emperor of India under so heavy an obligation to himself. The Prince is not ungrateful, and he has shown by his visits to Cliveden, by his influencing the other members of the Royal family to accept Mr. Astor’s invitations and by his inviting him far more frequently than is stated in the newspapers to Sandringham, how much he appreciates the assistance afforded. One of the most significant features of the situation is the superb wedding present given by Mr. Astor to Princess Maud of Wales the other day. It was an unset diamond of huge size, of perfect purity and luster, and of immense value. It was a gift which a brother-in-law might give to a sister-in-law or a kinsman to a relative, but hardly one which any mere acquaintance of the family, a comparative stranger, would dream of sending. The Royal family are very particular about the origin of presents, and many a gift has been refused because the Prince and Princess did not consider that the value thereof was warranted by the degree of intimacy or of friendship. The inevitable conclusion, therefore, is that William Waldorf Astor, descendant of the German pelt-peddler and late of America, is not only considered an intimate friend of the family of the Prince of Wales, but is in a position steadily to intensify that intimacy and worm his way to the throne, the left-handed consort’s throne, itself. 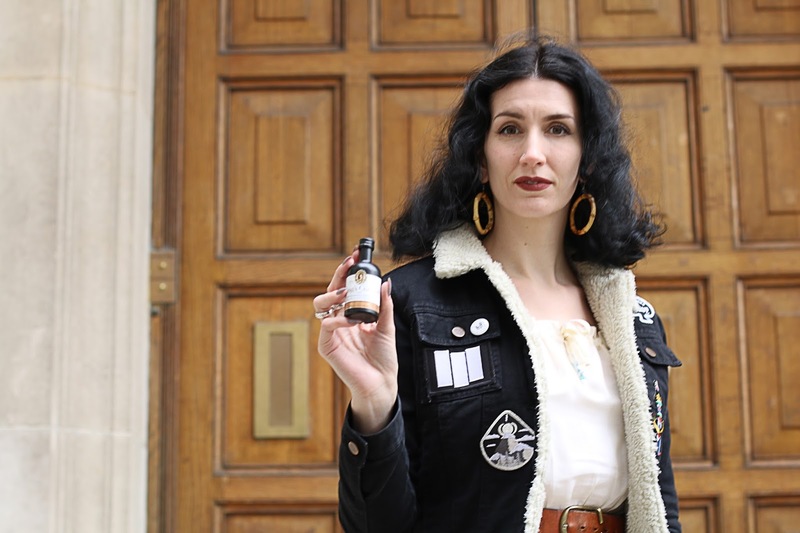 London society is convinced that this is Mr. Astor’s purpose, and those luminaries of it who best know its inner workings consider that his chances of success are good. That’s all for now. 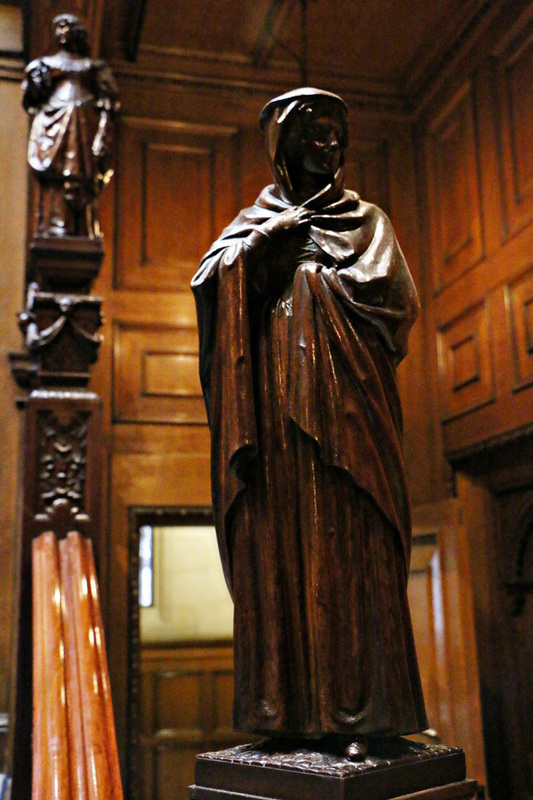 Here are a couple more photos of the amazing Two Temple Place, where Astor and the King may or may not have drunk together. The exhibition on inside during my visit was on Egyptology – fascinating but the building itself was worth the trip alone. It’s now closed to the public until their next exhibition in 2017. I encourage any history lovers to go along when you can, it’s amazing! D’Artagnan in the foreground there. This is the ladies loo! It’s the worst photo I took, but I’m sharing for posterity! In the meantime, drink loads of The King’s Ginger – it’s getting to that season after all. Especially at this weekend’s Goodwood Revival, where there’s a lovely Berry Bros. & Rudd Bar! Cheers!